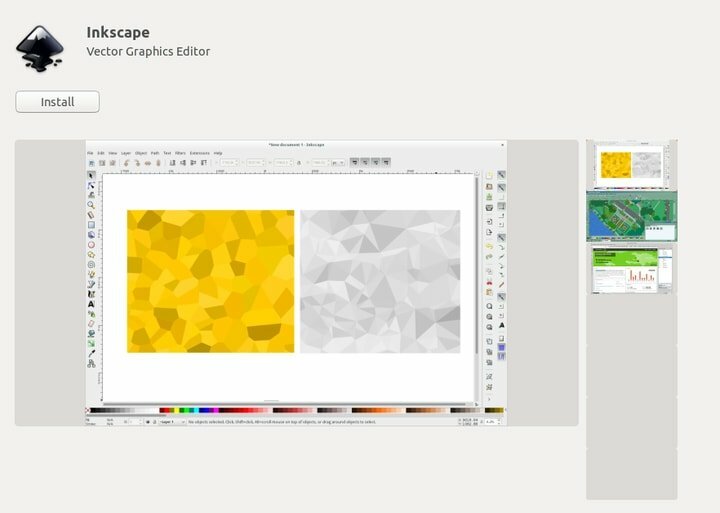 Inkscape is an amazing open source and free vector design tool for Linux. It’s very powerful with lots of tools and features for digital vector work and posters creations. 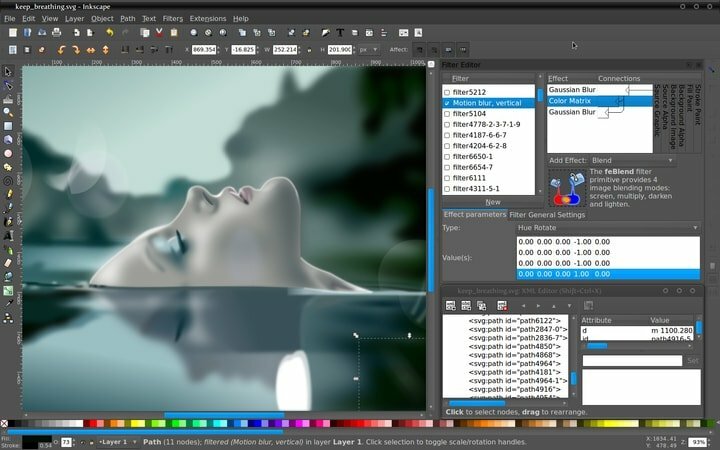 This tool is very similar and alternative to Adobe Illustrator but there are many features available in photoshop also thus it can be considered as Linux photoshop and Illustrator alternative. Inkscape is a compact software package including vector editor, text tools, drawing tools, support for Bezier and spiro curves etc. In this tutorial, I show you how to install Inkscape on your Ubuntu Linux system. It’s Free and open-source vector graphics editor similar to Adobe Illustrator. Best suitable for image creation for illustrations, art, and logos which require high scalability. For designers of all Kinds including marketing/branding, engineering/CAD, web graphics, cartooning) and individual uses. Cross-platform runs on Windows, Linux, and MacOS. Offers a set of object creation tools like pencil tool, pen tool, calligraphy tool, shape tools, text tool etc. There are a set of Object manipulation tools like Transformation, Z-order operations, Grouping objects, Layers etc. Fill and stroke with various color combination tools. Provides Operations on paths tools like Node editing, Converting to a path, Boolean operations, Path simplification, Bitmap tracing etc. Supports industry standard various file formats. You can install Inkscape on Ubuntu from software center as a snap package or using official Ubuntu PPA. Here I will describe both the ways for you. You can install Inkscape on Ubuntu or any other Linux distros using snap package. In case you don’t know how to use snap package, check out my tutorial on how to install software and use the snap package on Ubuntu Linux. You can search and install Inkscape from Ubuntu software center as a snap package. If you are not comfortable with any installation process stated above, then download deb package. In case you don’t know how to install deb package, check out my tutorial on all possible way to install deb package on Ubuntu Linux. Did you find this tutorial is helpful? If so then please share it on your social media. Let me know your experiences on using Inkscape in the comment section.